Last Updated: 6-29-2014. 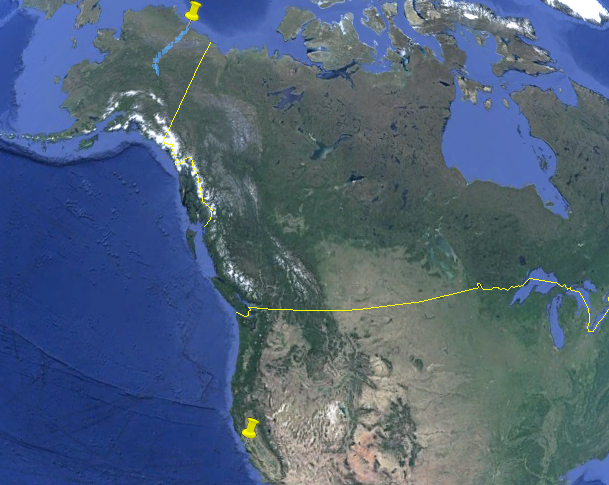 The yellow pins indicate the starting and ending points. The blue track shows the boys’ progress.